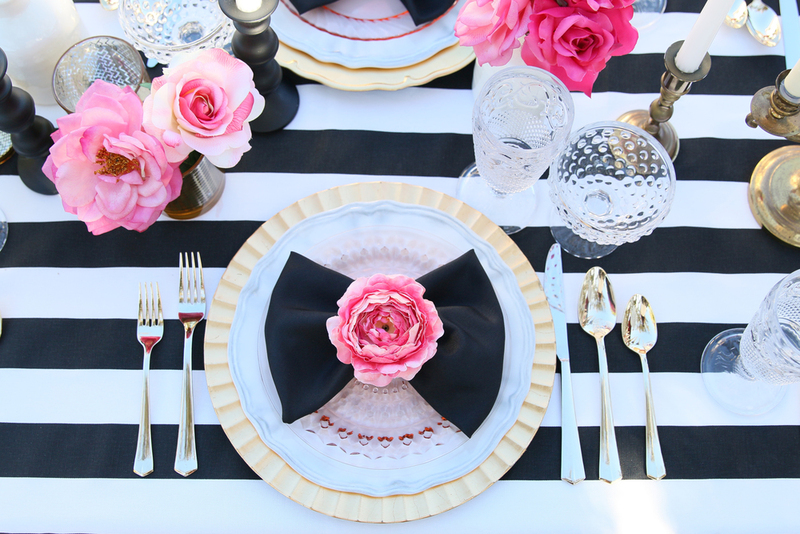 Crisp black and white stripes and pops of pink will have all your guests in awe with this expertly curated rental collection. This classically chic and sophisticated look is tailor made for the trend setting bride-to-be, or the fashion forward birthday girl! 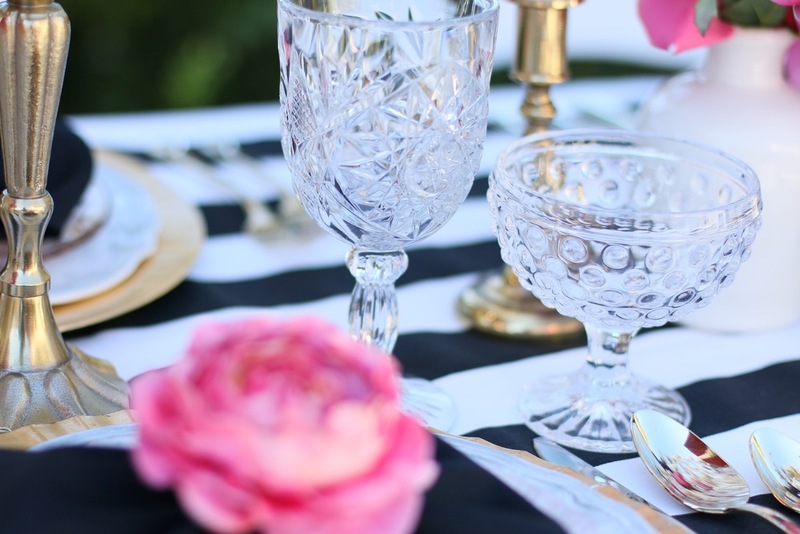 Vintage clear glass goblets, faux oversized peonies, and touches of gold make this Pink Please collection the bee's knees! Check out what can be included in this collection here, and don't miss our additional add-ons below to help make planning your party as seamless as possible. Whether you want to DIY or have your event setup by our team of professional designers, we have a package for you. 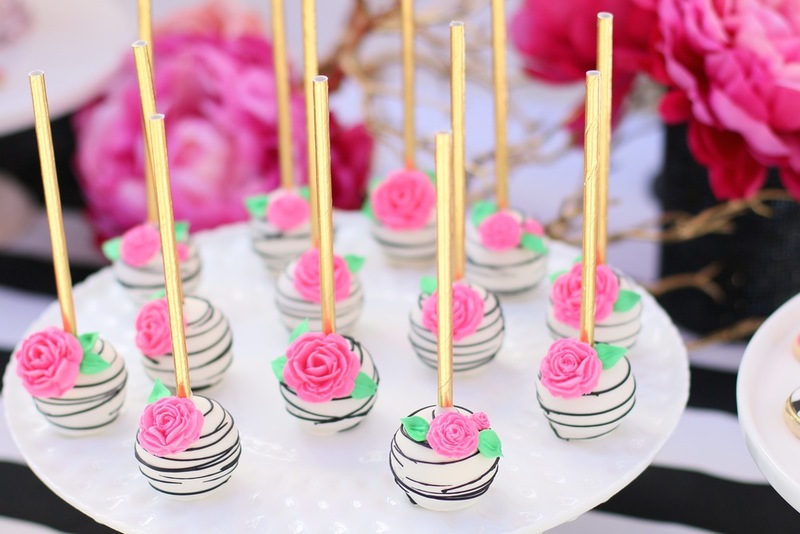 Black, white, gold, and just enough pink for your dessert table. 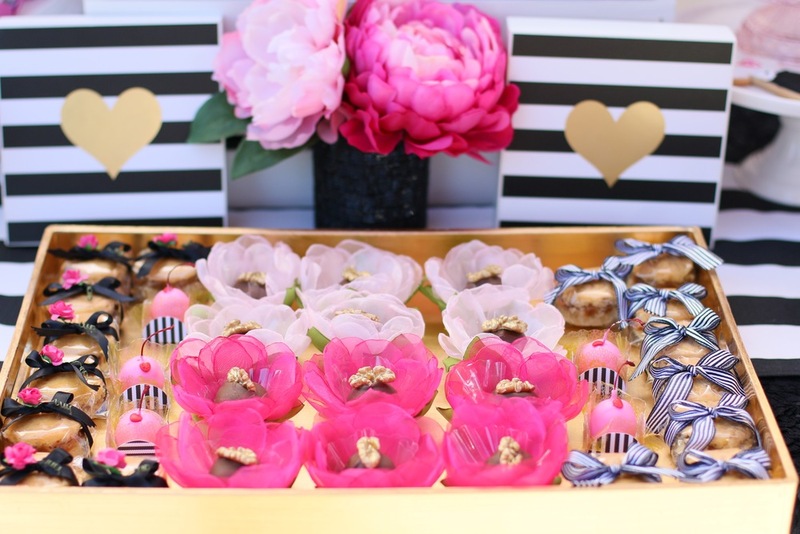 Includes black and white striped table runner and linens, cake platters, faux pink peonies and roses, gold candlesticks, black candlesticks, 4 small glass candy dishes, 2 small gold baskets, gold branches, and a white crate. 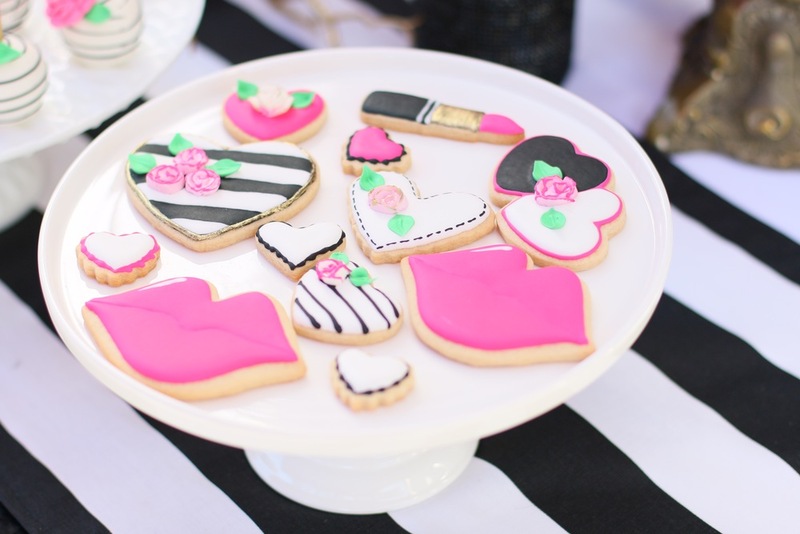 Pink, black, and white cake platters to display your sweets! 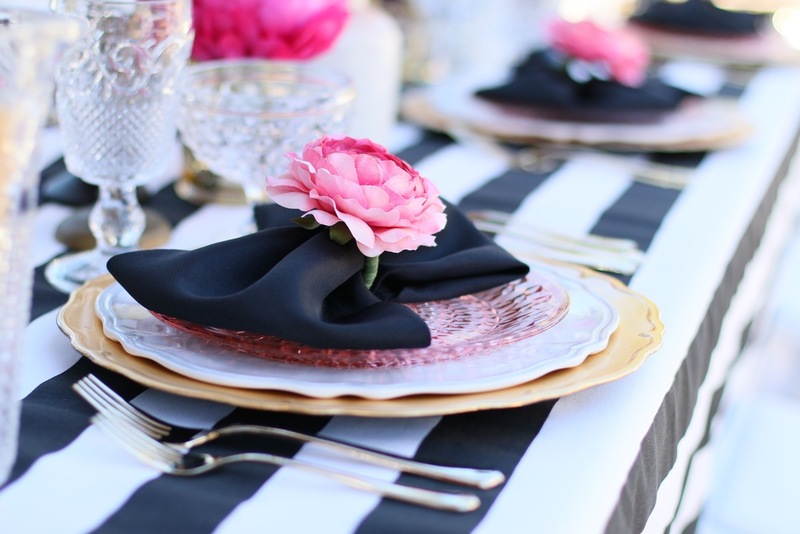 Place settings that include assorted gold chargers, white scalloped melamine dinner plates, vintage pink depression salad plates, black linen napkins, and pink floral napkin rings. Also includes gold flatware and assorted glass goblets. Assorted vintage glass goblets for any beverage. 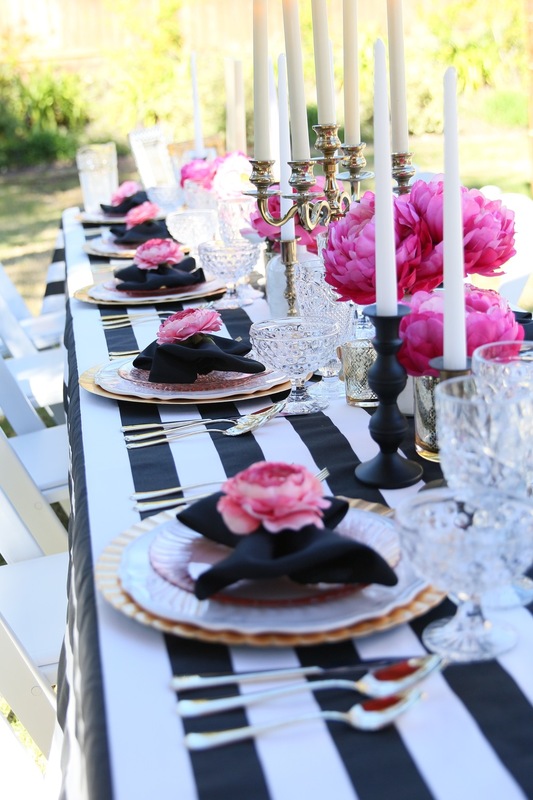 Black & white striped tablecloths, and/or black & white striped table runners with white tablecloths. Beautiful (and natural looking!) 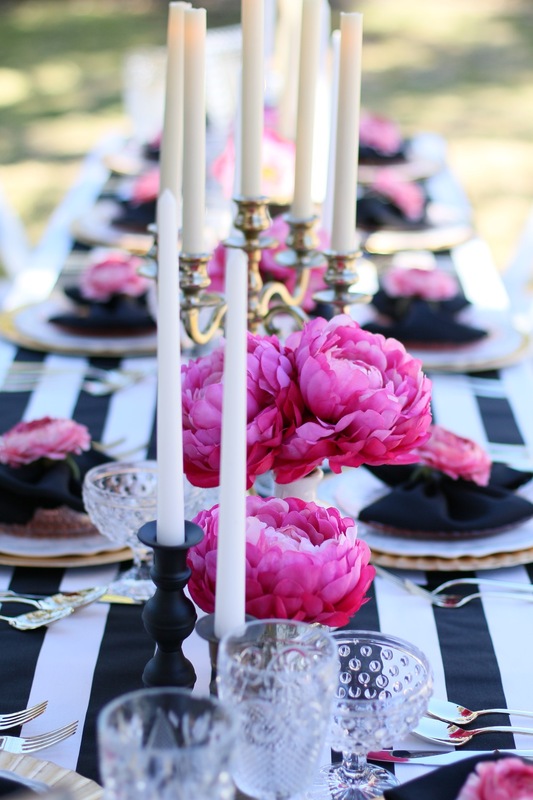 pink peonies arranged in assorted black, white, and gold vases. Also includes pink roses... for more pink! Assorted gold and brass candlesticks and candelabras for table decor. 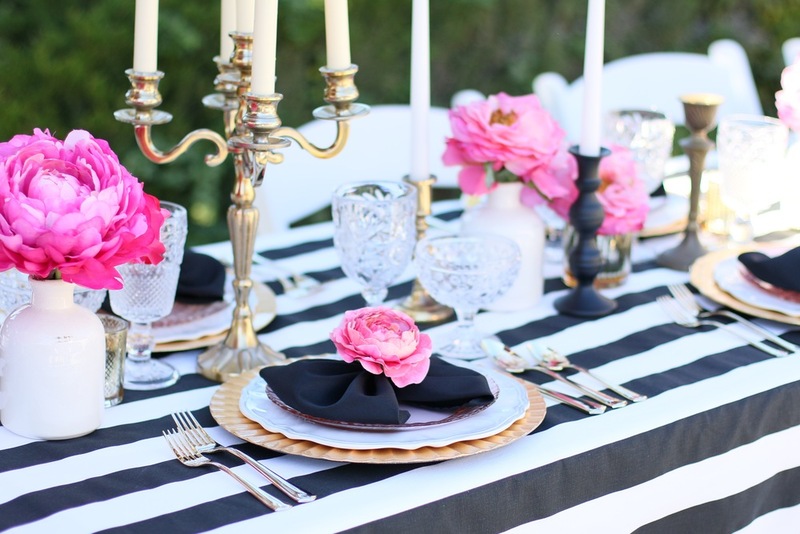 Black candlesticks, gold votives, & white vases for table decor. Assorted black, white, & gold frames to share memories or celebrate new love! 2 Glass textured serving pitchers. 2 Black & white umbrellas for hanging, shading, using, or twirling just for fun. SELECT FROM OUR ADDITIONAL SERVICES & CONVENIENCES TO MAKE HOSTING YOUR PARTY SEAMLESS. You can request your add-ons when you submit you inQUIRY on the next page. 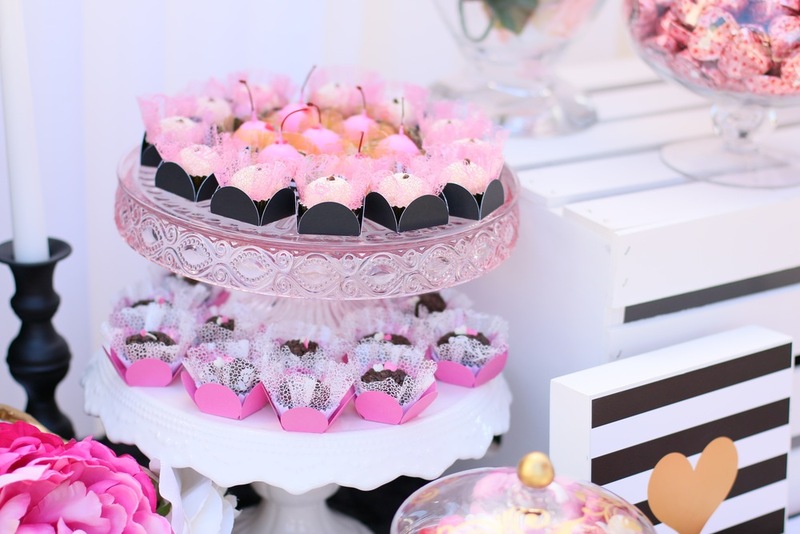 We offer event setup and picture-perfect designer installation so you can focus on your other hostess duties! Event setup will be executed by our trusted design team.